Here you will find some free printable birthday cards. Most of them are old cards, some kind of art noveau, other romantic birthday cards with flowers and birds and letters. You can use them for free, as long as you use them for your personal greetings and don’t use them to sell or make other websites based on the work I have done with these old cards. 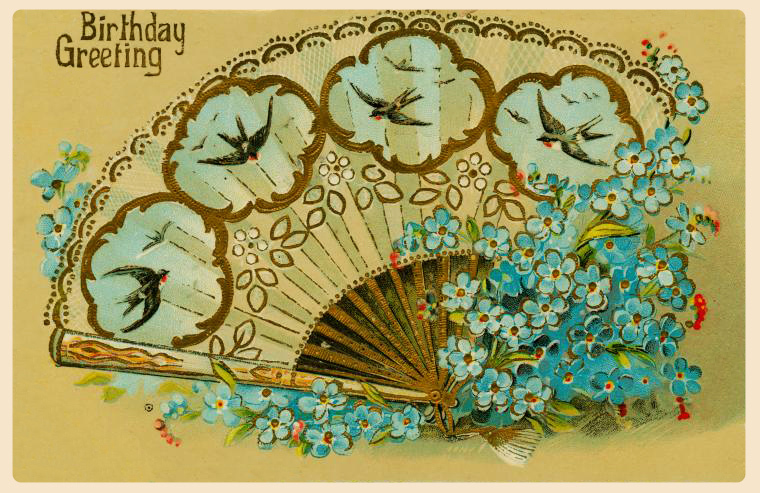 This first card has the text: Birthday Greeting, and has forget-me-not-flowers and a fan with the pictures of swallows. 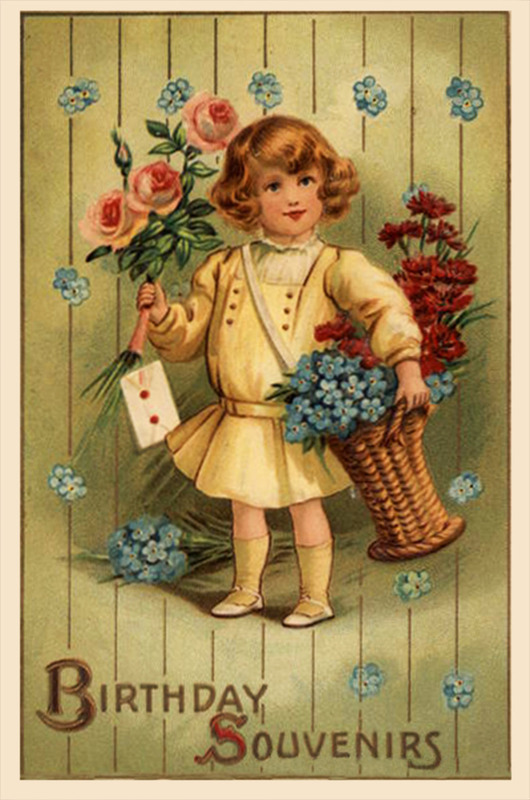 The next printabl card has the motive of a boy with roses, forget-me-not-flowers and a letter. Here comes a birthday geeting, and that is also what the text says. 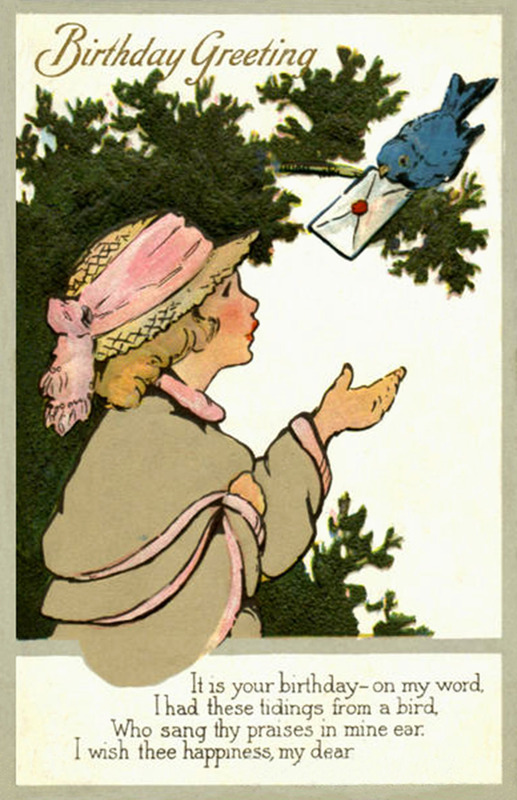 It has the motive of a young woman, receiving a letter from a small bird. It is made in the Art Nouveau style. 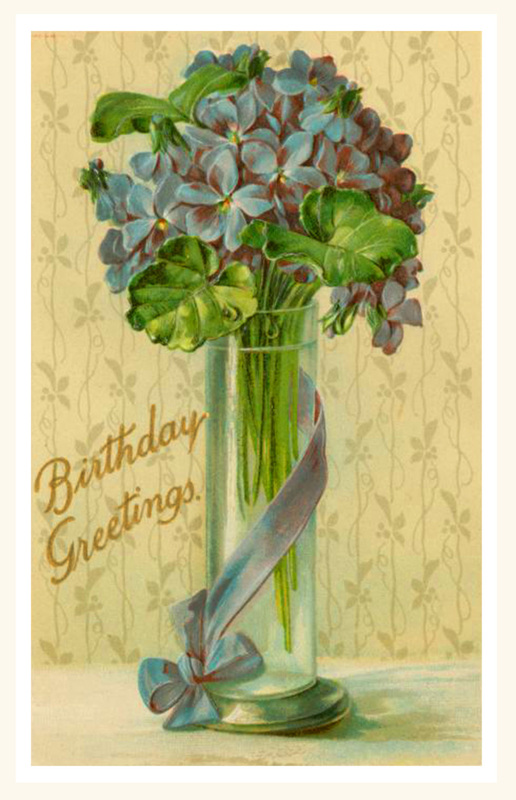 Here is another greeting card with a bouquet of forget-me-not flowers. It says: Birthday Greetings, written in gold. 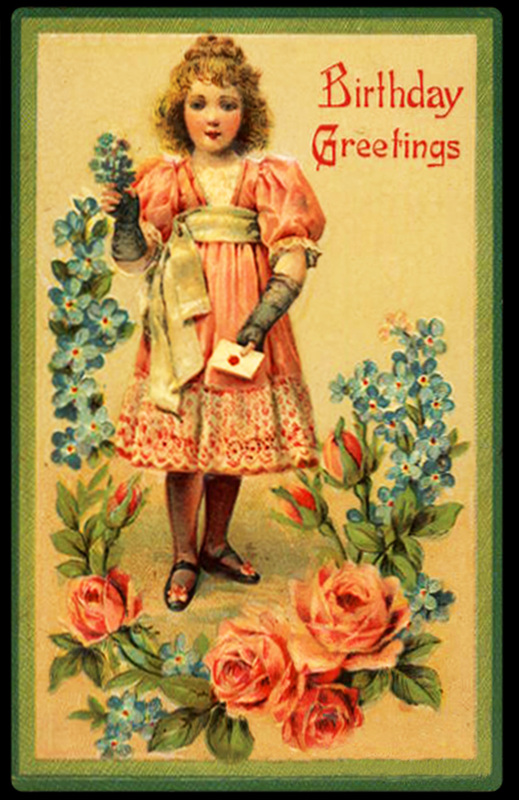 A very cute old card, the motive is a young girl, who has received a letter. There are roses and forget-me-not flowers. The text says: Birthday Greetings, written in red. Another birthday card with a soft red rose surrounded of soft apple flowers. 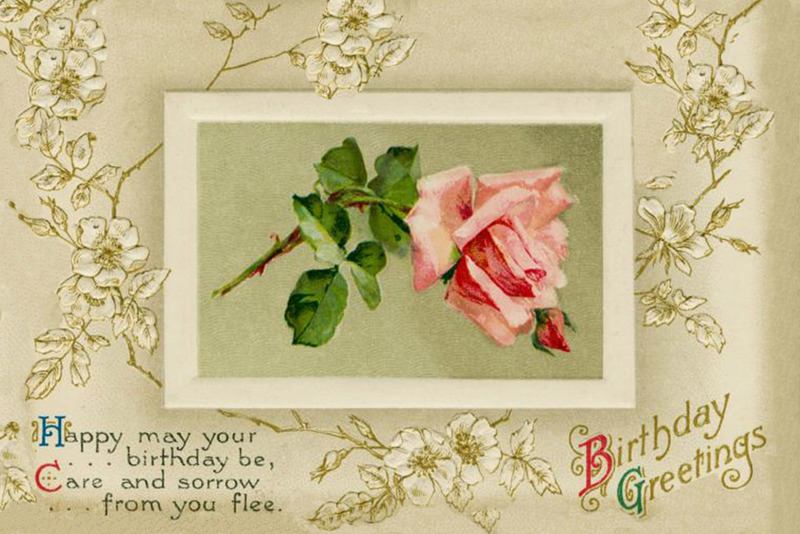 It has the text: Happy may your …….. birthday be, Care and sorrow from you flee. 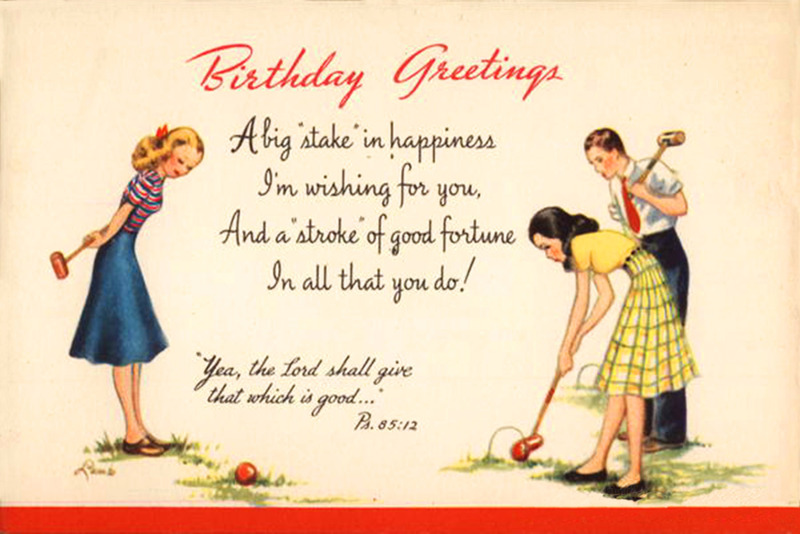 I find this last Birthday Card a little strange, but also funny. 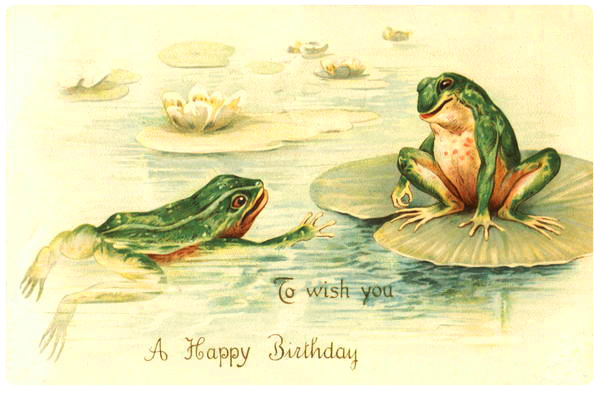 The motive is two frogs, and the text says: To wish you a Happy Birthday. and you can find clip art to use for making your own Birthday Cards here.